This superb oil on canvas painting is by British Victorian female artist Louise Jopling. 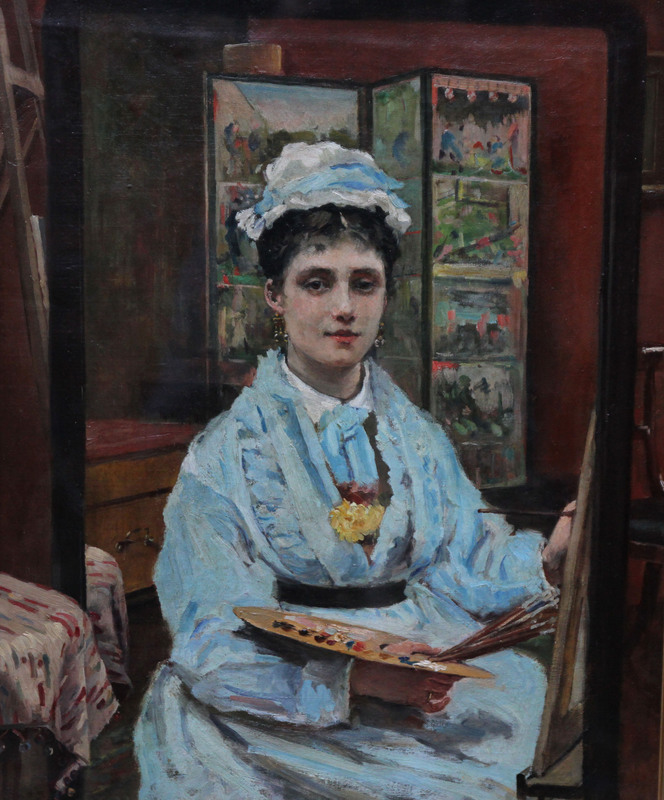 Painted in 1875 the painting is a three quarter length self portrait of the artist painting herself from a reflection. She is seated wearing a light blue gown and mop hat and holds a pallet and brushes. There is an oriental screen behind and various objects in the room. The brush work and impasto are fantastic. 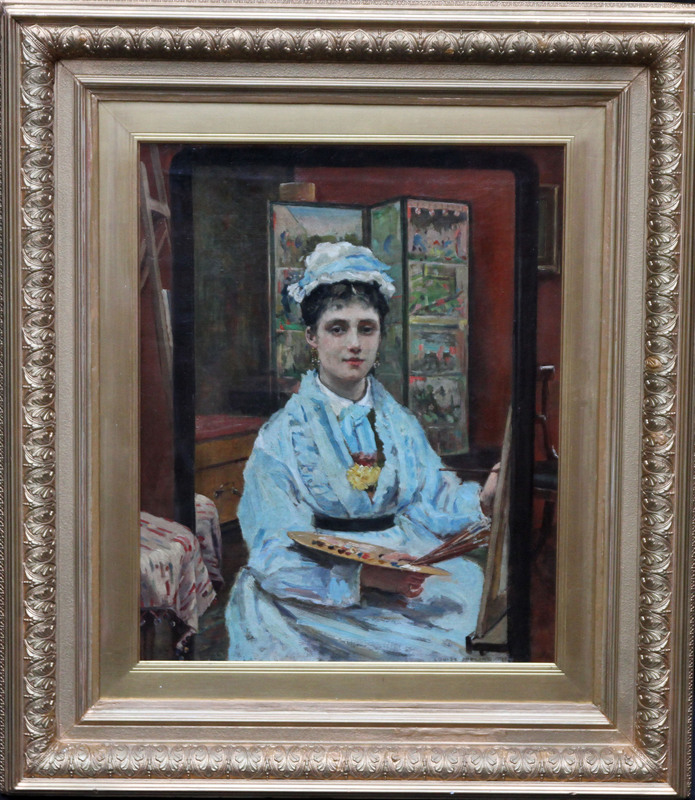 It is an absolutely charming self portrait by a prominent Victorian female portrait painter. Signed and dated 1875 lower right. Housed in a gilt frame, 38 inches by 41 inches and in good condition.